The 9th International Symposium on Radiative Transfer, RAD-19, in Athens, Greece, during 3 - 7 June 2019. Registration and Accommodation Forms are online! The 9th International Symposium on Radiative Transfer (RAD-19) will be held in the Titania Hotel in Athens, Greece from June 3 7, 2019 (with registration open on June 2). RAD-19 is built on the success of eight previous Radiation Symposia held in Kusadasi, 1995, 1997, in Antalya, 2001, in Istanbul, 2004, in Bodrum, 2007, in Antalya, 2010, in Kusadasi, 2013, and Cappadocia, 2016. As before, the main objective of the Symposium is to bring together scientists and engineers involved in radiative transfer research and to provide a relaxed atmosphere for in-depth discussion of theory, experiments, and applications. The Symposium will also serve as the formal presentation venue for the 2018 Elsevier Poynting Award on Radiative Transfer and Viskanta Young Scientist Award. Novel numerical, analytical and hybrid techniques for the solution of radiation transfer equation in multidimensional and complex geometries. Advanced radiative transfer models for industrial and combustion system including furnaces, IC engines, gas turbines. Radiative properties of gases, particles, agglomerates and non-homogenous structures. Interaction of radiation with conduction, convection, turbulence, chemical kinetics, and soot formation. Inverse solution techniques in radiation applications. Innovative application of radiative transfer for improved manufacturing processes. Fundamentals and applications of radiative transfer to remote sensing. Radiative transfer in atmospheres and oceans. Biomedical applications of radiation transfer. This symposium is dedicated to Professor Pedro Coelho and Fengshan Liu who have made significant contributions to the international radiation transfer community. The 3rd Symposium on Radiative Transfer (RAD-01) was dedicated to Professors M. Lallemand, M.N. 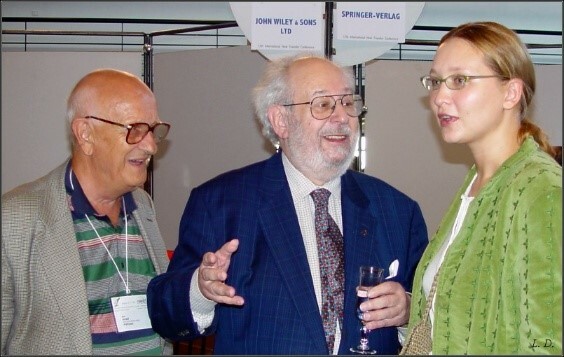 Ozisik and R. Viskanta in 2001. Professor, Department of Mechanical Engineering, Instituto Superior Técnico, Lisbon, Portugal. 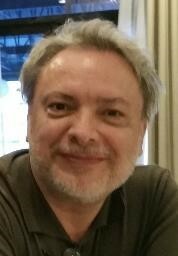 Prof. Pedro Coelho graduated in Mechanical Engineering in 1984 and received his Ph.D. in 1992 from Instituto Superior Técnico (IST), University of Lisbon, Portugal. He is professor at the Department of Mechanical Engineering of IST, being currently the head of the Department. He has about 85 papers published in international journals, and more than 100 papers presented at international conferences. He is co-author of a book on Combustion (in Portuguese) for undergraduate and master students. His research is in the field of numerical simulation of heat transfer and combustion problems. Specific areas of interest are radiation models, gas radiative properties, turbulence-radiation interaction, turbulent diffusion flames, mild combustion and industrial combustion equipment. He is member of the Eurotherm Committee for the Advancement of Thermal Sciences and Heat Transfer, member of the Scientific Council, Assembly and Executive Committee of the International Centre of Heat and Mass Transfer, member of the Assembly for International Heat Transfer Conferences and member of the Assembly of the World Conference (AWC) on Experimental Heat Transfer, Fluid Mechanics, and Thermodynamics. He is associate editor of the J. Quantitative Spectroscopy and Radiative Transfer, Int. J. Thermal Sciences, and member of the advisory board of Computational Thermal Sciences. Dr. Fengshan Liu obtained his Bachelor degree in Engineering Mechanics from Tsinghua University in 1986 and received his Ph.D degree in Combustion Engineering from The University of Sheffield in 1991. He is currently a senior research officer at the Metrology Research Centre of the National Research Council Canada and an adjunct Professor at the University of Toronto Institute for Aerospace Studies. He is also a Board member of the Combustion Institute Canadian Section. His research interests cover high accuracy gas and particle spectral radiative property modeling, radiative heat transfer and soot formation coupling in hydrocarbon flames, optical properties of fractal soot aggregates, optically based soot measurements in flames and measurements of black carbon from combustion systems. Dr. Liu is a renowned researcher in the laser-induced incandescence technique for measurements of carbonaceous particles and an Associate Editor of JQRST. 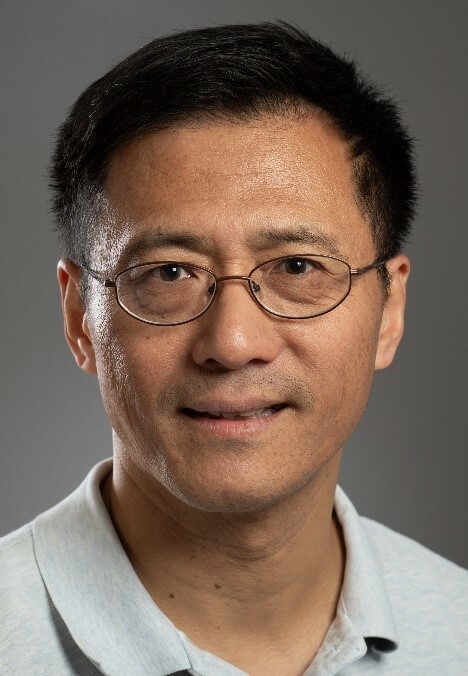 Dr. Liu holds two patents related to the LII technique and has authored or co-authored 160 peer-reviewed journal articles and more than 100 conference publications. In addition to dedication lectures (see the dedication section) two keynotes lectures will be delivered by renowned specialists in radiative transfer. Senior Scientist, NASA Goddard Institute for Space Studies, New York, USA. A graduate of the Moscow Institute of Physics and Technology, Dr. Michael Mishchenko received his PhD (with honors) and Habilitation Doctoral degrees in physics from the National Academy of Sciences of Ukraine (NASU). He worked at the Main Astronomical Observatory in Kiev (1987-1992) and then joined the research staff of the NASA Goddard Institute for Space Studies in New York. His research interests include electromagnetic scattering by morphologically complex particles and particle groups, polarimetry, aerosol and cloud remote sensing, and ocean optics. He managed the NASA/GEWEX Global Aerosol Climatology Project and served as Project Scientist for the NASA Glory Space Mission. Dr. Mishchenko has published 7 monographs, 23 peer-reviewed book chapters, and some 300 journal papers. He is Editor-in-Chief of the Journal of Quantitative Spectroscopy and Radiative Transfer and previously served as Topical Editor on scattering and meteorological optics for Applied Optics. 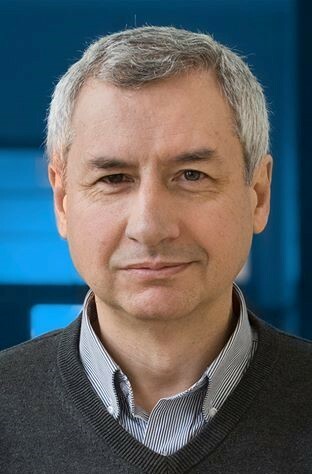 An elected Fellow of AGU, OSA, AMS, IoP (UK), and the Electromagnetics Academy, Dr. Mishchenko is the recipient of numerous professional awards including the AMS Henry G. Houghton Award, Hendrik C. van de Hulst Award from Elsevier, and two NASA Exceptional Scientific Achievement Medals. The International Astronomical Union honored the scientist by giving Asteroid 22686 (1998 QL53) the name “Mishchenko”. Jean-Michel Hartmann graduated from Ecole Centrale Paris in 1983 as an engineer specializing in Fluid Mechanics and Heat Transfer. 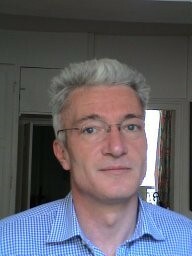 After passing a PhD in experimental and theoretical molecular spectroscopy, he was appointed to a permanent position at CNRS where he now serves as Senior Researcher in the Dynamic Meteorology Laboratory, affiliated to the Ecole Polytechnique in Paris. His past and present activities span a wide range of topics, including molecular spectroscopy with a focus on the effects of intermolecular collisions (of pressure) on absorption spectra of gases, and remote sensing of atmospheres where spectra are used to retrieve geophysical information. He has also conducted research on molecular alignment/orientation with a focus on the collisional dissipation of the field-free laser-induced alignment and of the optically induced centrifugation of molecules, as well as probing porous materials by optical techniques based on the effects of the confinement of molecular gases on their spectra. All these subjects are treated principally on a theoretical basis and supported by experiments using lasers and spectrometers. Dr. Hartmann has co-authored a book and more than 180 articles in international peer-reviewed journals. He is one of the regular contributors to the HITRAN database. The symposium registration fees will be 500 Euros if paid before May 1st, 2019; 550 Euros for advance registration after that date and 600 Euros on-site. This will cover participation in all technical sessions, a welcome reception, lunches (during symposium), coffee breaks and the Proceedings. Full-time students will pay 200 Euros, subject to proof of status, before May 1st, 2019; 250 Euros for advance registration after that date and 300 Euros on-site. 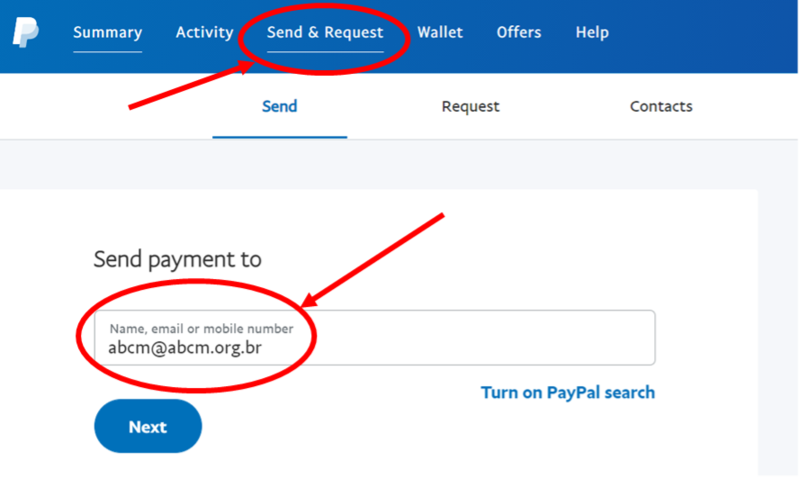 Some financial support will be available for students and young researchers from the developing countries, and to others with demonstrated financial difficulties. Application should be made via the website. Please check ICHMT Grants page. There will be a social dinner at the Symposium Hotel on Thursday, June 6th. The fee is 50 Euros per person. The tickets can be purchased using the registration form. Please note that American Express card is not acceptable. Please use MasterCard or Visa for your payment. Claros Tour (Alico Turizm Ltd. Sti.) is the official Travel Agency of ICHMT. The Symposium will have both oral and poster presentations. Research communications are strictly limited to maximum 8 pages and must clearly state the purpose, the findings, and the originality of their contribution. Acceptance for oral presentations will be based on peer review of these communications. Communications accepted for presentation will be published by Begell House, Inc., in a proceedings volume and will be available in the form of flash memory disks to the participants at the registration. After the conference, authors of contributed papers will have the opportunity to submit an improved/enhanced version of their work, still based on their presentation content. These submissions will be considered for publication in a special issue of the Journal of Quantitative Spectroscopy and Radiative Transfer, after undergoing a new review process. The Symposium will also include poster sessions to allow researchers to discuss their most recent work in a relaxed atmosphere. Selection for the poster session will be based on one-page abstracts only, and no further text is required for the posters. All authors are expected to send their contributed papers or abstracts (for posters) in a camera-ready pdf format. The guidelines for preparing camera-ready papers can be found in the Guide for Authors section. Manuscripts must be submitted in electronic form in PDF format, using A4 size (210 x 297 mm). Any word processing utility (e.g., MS Word, OpenOffice, LaTeX) may be used to generate the manuscript provided that it is converted to PDF for submission. The symposium organizing committee has prepared and made available this template in both MS Word and LaTex format. Those choosing to use other word processing platforms are responsible for generating their manuscript using this template as model and in the format prescribed in this document. The text should be single-spaced. If superscripts or subscripts make this a problem, wider spacing may be necessary. Leave double spaces between paragraphs. Begin paragraphs flush at the left margin without indentation. The typing area of all pages should be 170 x 257 mm with equal margins on left and right, top and bottom (20 mm). Each page should be completely filled with typing and/or diagrams (except perhaps the last page). Authors should use Times or Times New Roman, 12-point font for the text. The authors must assure that all symbols and equations will be correctly displayed in the PDF version. The text should be left and right justified. The total length of a paper, including all figures, tables and references, should be no more than 8 pages. Manuscripts are therefore expected to provide a very concise description of the work being presented. They must, however, clearly state the purpose, the methodology, the main results and the originality of the study. A signed “Copyright Release Form” must also be submitted with each manuscript. You can download the "Copyright Release Form" by clicking here. Selection for the poster session will be based on one-page abstracts only. You can download a MS WORD template here. Please use it as model if you choose another word processing tool. You can download the "Suggestions for Preparing Posters" by clicking here. During the RAD-19 congress to be held in Titania Hotel, June 03-07, 2019, CLAROS TOUR will be very pleased to organize city tours or any other assistance you may need during this event. During the congress, an CLAROS TOUR representative will be available at the Titania Hotel next to the reception for any last minute requests or practical assistance. Depart from the Hotel for a photo stop at Panathinaiko Stadium where the first Olympic Games took place in 1896. It is the only stadium built out of white marble. Proceed, passing by Zappeion and Temple of Olympian Zeus. You will then pass the Athens Trilogy which includes the University of Athens, the Academy of Athens, and the National Library. Continue passing by National Garden, Hadrian’s Arc, St. Paul’s Church, Parliament, Tomb of the Unknown soldier, Schliemann’s House (Numismatic Museum), Catholic Cathedral, Old Parliament, Constitution Square ,Russian Orthodox Church, and finally ACROPOLIS(visit Propylae the gateway, Temple of Athena Nike, Parthenon,Erechtheion with its Porch of Maidens). Stroll up to the UNESCO-listed sitethat served as the ancient citadel, and tour the buildings as you hear how they reflected Athens’ prosperity in the 5th century BC. A half day afternoon trip from Athens full of images and breathtaking views. 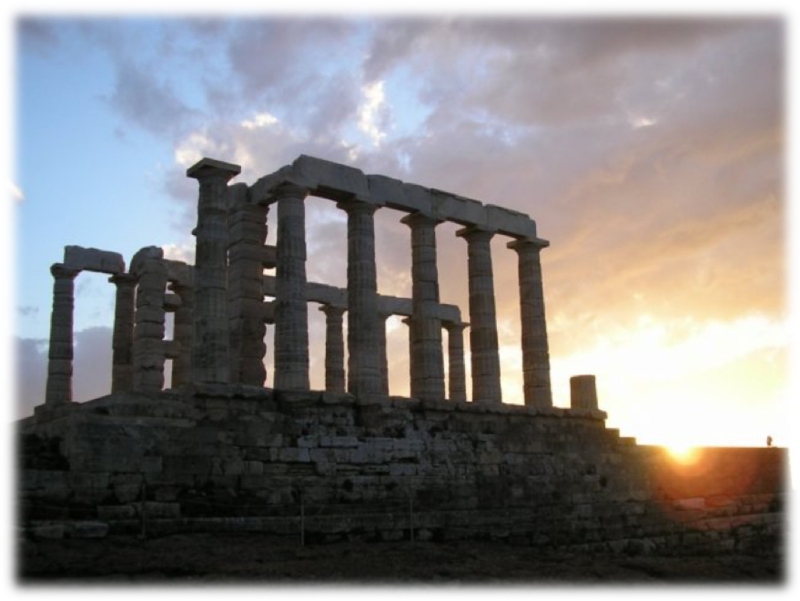 Begin your Sounio tour with a wonderful drive along the scenic coastal road which affords a splendid view of the Saronic Gulf, passing through some of Athens most beautiful suburbs (Glyfada,Vouliagmeni, Varkiza) and idyllic beaches. As you approach Cape Sounion, one of Greece’s most photographed monuments, it rises like a sheer cliff out of the sea. At Cape Sounio where you will visit the 5th century B.C. Temple of Poseidon with one of the most breathtaking panoramic views in the world (on a clear day you can see at least seven islands).The precipice is a sheer 197 foot drop to the sea. Land masses to the west stand out in sharp profile: the island of Aegina backed by the mountains of the Peloponnese. The beauty of the surviving Doric columns has inspired many poets, including Lord Byron who carved his name on one of the columns. 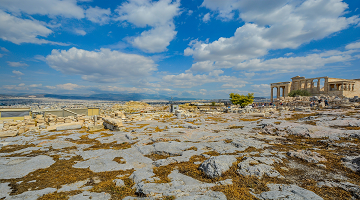 This half day excursion is a great option if you want to discover Greece beyond Athens, enjoy stunning views and visit world famous Greek ruins. Depart from the Hotel 08.00 am,for one day trip from Athens to explore the UNESCO-listed archaeological site of Delphi with an expert guide and learn how the city was considered the ‘Center of the World’ in ancient Greece and today one of the most famous archaeological sites of Greece. Along the way, you will see the plain of Beotia, an agricultural center and you will also pass by the city of Theva, the birthplace of King Oedipus. 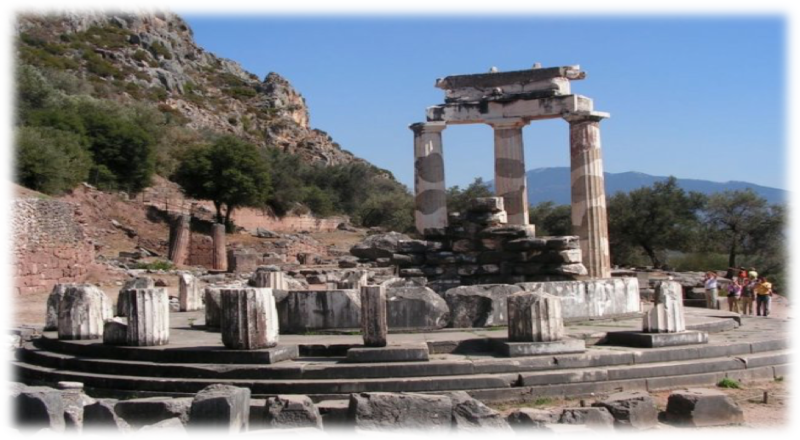 Immerse yourself in the myths and monuments of classical Greece on this full-day tour of Delphi from Athens. After meeting your guide in Athens, hear tales about the ancient Greeks and their lives in Delphi while traveling to the town by air-conditioned coach. You will reach Delphi towards Mt. Parnassos, making a short rest stop outside the town of Levadia. First stop is a tour of the Delphi archeological site – a UNESCO World Heritage Site and easily one of the most important digs in Europe. As you walk around the evocative ruins with your guide, see famous monuments likethe monument of the Argive Kings, the treasury of the Athenians, the Athenian Stoa, the Polygonal Wall, the monument of Platea and the Temple of Apollofamous for its oracle . Second stop is Delphi museum, with it's spectacular exhibits include the frieze of the Treasury of the Sifnians, the Naxian Sphinx, the Statue of Antinoos the metopes of the Athenian treasury, the famous bronze Charioteer, originally created to commemorate a victory during the 476 B.C. Pythian Games, and many other artifacts. Be sure to check out the bronze Charioteer of Delphi and the Sphinx of Naxos. Lunch in DELPHI at OMFALOS REST. After lunch break, visit Athena Pronaia Sanctuary, the most photographed spot in Delphi. Return to Athens passing by the picturesque mountain village of Arachova, built on the south slopes of Parnassus, well known for its attractive hand-woven carpets, rugs and quilts, as well as for its wine and cheese (short photo stop). Back to Athens late in the afternoon. Explore with your professional and passionate guide the remains of the ancient city of Mycenae, a major centre of Greek civilization from 1600BC to 1100BC and the archaeological treasure of Epidaurus. Follow in the footsteps of the ancient Greeks on this fascinating full day excursion. Depart from the Hotel 08.00 am via the coastal National highway for the strategically important Corinth canal (short stop). After the Corinth Canal, you enter the region of Argolis, land of Homer’s Golden Mycenae, a UNESCO World Heritage site. Dating back to the second century B.C., Mycenae was one of the major centers of Greek civilization and a military stronghold which dominated much of southern Greece. Visit the archaeological site, home to the kingdom of mythical Agamemnon. 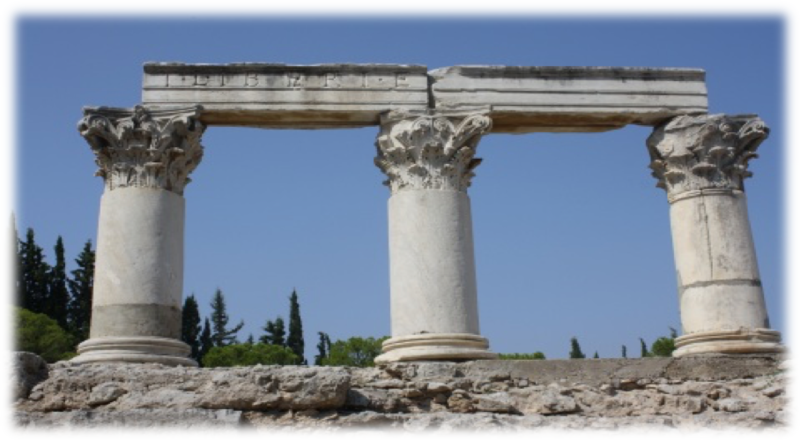 You will see the Cyclopean Walls, the Lion’s Gate, the Royal Tombs, including Agamemnon Clytemnestra's, and the Treasury of Atreus, a magnificent 14th-century B.C. structure. Lunch in Argos at KOLIZERAS REST. Afterward, stop in the beautiful sea port of Nauplia the first capital of modern Greece with its Venetian fortress of PALAMIDI and the fortified islet of BOURTZI (short stop). Continue on to Epidaurus and visit the ancient theatre. The UNESCO’S world heritage listed monument is reputed to be the birthplace of Apollo's son Asklepios, the healer and was the most celebrated healing center of the classical world. Epidaurus is probably most famous for its theatre, one of the best preserved classical Greek buildings and still used today due to its amazing acoustics. The symposium will take place in the Titania Hotel in Athens. 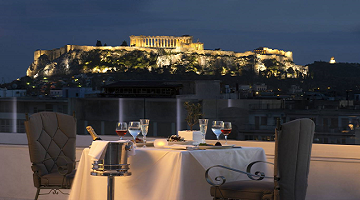 The Titania Athens hotel is surrounded by the most important monuments of the Grecian History, such as the Acropolis, the New Museum of Acropolis, the Parliament, the Archaeological Museum, and the National Library. It is located within a short distance to theaters, modern shops and city malls, offering its guests a wide variety of sightseeing and entertainment choices. For more information about the hotel please click on the name above. All reservations at Titania Hotel must be made through the ICHMT Secretariat to obtain the symposium discount rates. Titania hotel will charge extra EUR 3.00 city tax per person per night during check in. The Executive Committee of ICHMT will be able to offer some financial support to assist scientists and engineers to participate in its symposia. Priority will be given to students and to scientists early in their career from the Developing Countries. Grants will normally cover the registration fee and not more than 50% of the other costs. An application cannot be considered if this statement has not been received by the closing date. Applicants for grants will be informed of the outcome of their applications not later than four months before the start of the symposium. The grants will be available from the Secretary General or the Symposium Chair at the Symposium, subject to presentation of proof of all costs relating to attendance at the meeting (including copies of all relevant receipts, tickets etc). The grant will not be paid unless full documentation is presented. The International Centre for Heat and Mass Transfer (ICHMT) is an international, professional, non-governmental, non-profit organization. The general objective of the Centre is to promote and to foster international cooperation in the science of heat and mass transfer and its applications. 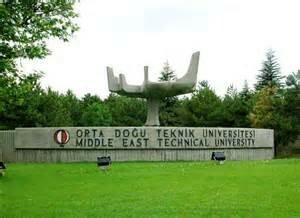 Its secretariat is located at the Mechanical Engineering Department of Middle East Technical University (METU). 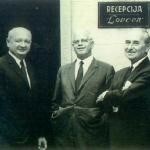 The first meeting of the International Centre for Heat and Mass Transfer (ICHMT) was held in Herceg Novi, Yugoslavia, on September 16, 1968, during the International Seminar on Heat and Mass Transfer in Turbulent Boundary Layers, organized by the Boris Kidric at the Institute of Nuclear Sciences in Belgrade. This meeting was the culmination of activities initiated by a group of leading scientists in the field from different countries. These activities resulted from a long felt need to create an international organization in the fast growing field of heat and mass transfer. 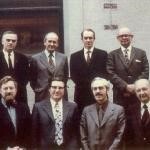 Some of the most prominent names in the field who were involved in the founding and creation of the Centre were: E.A. Brun, E.R.G. Eckert, U. Grigull, J.P. Hartnett, T.F. Irvine, Jr., S.S. Kutateladze, A.V. Luikov, W.M. Rohsenow, D.B. Spalding, and M.A. Styrikovich. The active participation and efforts of D. Velickovic, Z. Zaric and N. Afgan from the Serbian Academy of Sciences and the Boris Kidric Institute of Nuclear Sciences in Belgrade made the founding of the Centre possible. 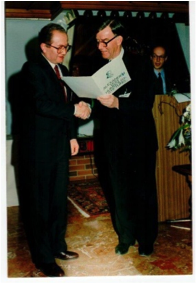 The leadership and initiatives of Professor Zoran Zaric and later Professor Naim Afgan made the Centre grow and reach maturity over the years and become a well-known organizer of meetings and other activities with high prestige among scientists and researchers in the field of heat and mass transfer. The meetings have served as a means of conveying and transferring scientific knowledge, technical know-how, and cultural values. The Centre's many publications have become among the most sought after collections of scientific literature in the field. The Secretariat of the Centre remained in Belgrade for almost 24 years and traditionally organized one seminar and one symposium a year, usually in Dubrovnik, Yugoslavia, until early 1990s when the start of the political turmoil in former Yugoslavia unavoidably hampered the functioning of the Secretariat. The Executive Committee of the Centre started looking for a new home for the Secretariat of the Centre. 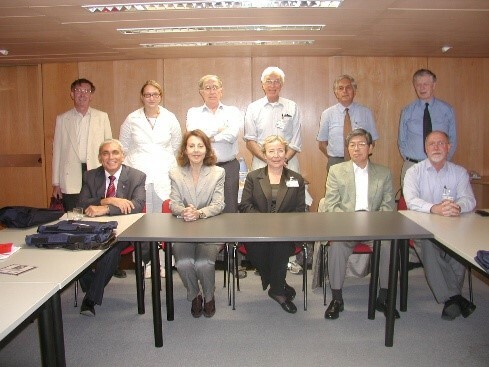 Professor Sadik Kakac, a member of the Scientific Council representing Turkey, with the encouragement of Professor Yasuo Mori, the President of ICHMT, and Professor Franz Mayinger, the Chairman of the Executive Committee, contacted Professor Kemal Guruz, Head of TUBITAK (Scientific and Technical Reaserach Council of Turkey), and Professor Suha Sevuk, President of METU (Middle East Technical University in Ankara, Turkey), and urged them to prepare a joint proposal. These efforts took more than a year. In September 1992, the proposals from institutions in seven countries were examined at an Executive Committee meeting in Rome, and it was decided, with a majority vote, that the joint proposal of METU and TUBITAK, could provide the best financial and administrative support to the Centre. Since January 1993, the Centre has restarted its activities in its new home, the Middle East Technical University in Ankara, Turkey, under the joint auspices of these institutions, METU and TUBITAK. The Statutes and the By-Laws of the Centre were revised, partly in response to the move to Turkey. At the meetings of the General Assembly and of the Scientific Council in Brighton, England in August, 1994, Professor Faruk Arinç, a faculty member at the Department of Mechanical Engineering of METU, was elected as the new Secretary General of the Centre. He was re-elected to this office at the succeeding Scientific Council meetings held in every four years during International Heat Tranfer Conferences (IHTC). The new Secretariat working under the new rules with renewed enthusiasm and support of the Executive Committee as well as the two standing sponsors of the Centre in Turkey, organized highly successful meetings since 1994, and sponsored many others elsewhere. The venues of the meetings in Turkey were chosen to be five-star hotels on the Aegean or Mediterranean coast, providing excellent settings for scientific as well as social gathering of all attendees and spouses. ICHMT also organizes meetings in countries other than Turkey, chaired by prominent researchers in the field. The traditional activity of ICHMT is organization the International Symposia and Seminars. These meetings have been always met with increasing interest by the scientific, technical and industrial communities. The general scope of the meetings has always been designed with the aim of active promotion of interesting scientific work and achievements at high technical levels. The Centre has published over 80 Proceedings on various specific aspects of heat and mass transfer. Each proceeding is related to a meeting of the Centre. International participation in the meetings is always a major aim. The total number of participants in the meetings of ICHMT since 1968 has been over 5000, coming from over 60 different countries. In order to promote the international activities of the Centre and reach as many scientists and researchers as possible in the field, the Centre signed a publication agreement with the publisher, Begell House, Inc., in 1994, since when Begell House has been printing and distributing the scientific work of ICHMT. In addition, the Proceedings of the Biotransport-98, Plasma-99, Turbine-2000 and Vim-2001 symposia were published in the Annals of New York Academy of Sciences (NYAS) in accordance with a separate agreement signed between the Centre and the Academy. In June 2006, the agreement between ICHMT and Begell House, Inc. was renewed and expanded to include the creation of an ICHMT Digital Library Online (http://dl.begellhouse.com/references/1bb331655c289a0a.html). As emphasized in our Mission Statement, the Centre aims not only to provide attractive meeting occasions for all scientists active in the field, but also to foster international exchange of science and engineering in all branches of heat and mass transfer through the promotion of research, education, and the exchange of personnel. With this purpose of existence in mind, the Centre aims to be a reliable and state-of-the-art source of information in all its publications, and to create the means for generating international synergy, enthusiasm, and motivation among the scientists and researchers that will lead to new ideas, procedures, products, and standards to improve productivity and efficiency and to promote living in a cleaner environment. The membership in the Centre is open to all non-governmental, non-profit, national and international organizations working in the field of heat and mass transfer. The number of member institutions of the Centre is now over 40 from 30 different countries. One activity initiated by the Secretariat of the Centre in 1994 was the creation of the ICHMT Home Page on the Internet. This site is constantly updated, and has now grown to a significant size. It is being accessed by scientists all over the world. We are very pleased to announce that Elsevier solicits nominations for the 2019 Poynting Award on Radiative Transfer. The award will be presented at the forthcoming 9th International Symposium on Radiative Transfer, RAD-19 in Athens, Greece (3 – 7 June 2019). The announcement and nomination details are available on the Award section of the JQSRT website (see: Poynting Award). 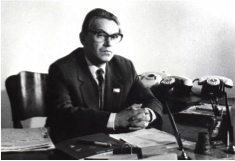 This Elsevier young-scientist award in the category of Radiative Transfer is named after Professor Raymond Viskanta of Purdue University (West Lafayette, Indiana, USA) to honor his profound contributions to the field of Radiative Transfer since 1950s. The Viskanta Award on Radiation Transfer for 2019 is open to early-career scientists and engineers who work on the theory and application of radiative transfer. There will be one award to be presented at the 9th International Symposium on Radiative Transfer, RAD-19 in Athens, Greece (3-7 June 2019). The recipients of the award will receive a monetary prize of USD 750 and an official certificate. The winner will be selected by a Committee, whose members include two JQSRT Editors-in-Chief and four JQSRT Associate Editors. The announcement and nomination details are available on the Award section of the JQSRT website (see: Viskanta Award).